The notion among most dotcom skeptics is that dotcom startups are poor. They think that dotcom startups have little cashflow and almost no cash and they’re right! Although my partner and I have been lucky enough to find financial backing that would cut us some slack, we always fear the day that we might run out of money. So for now, we’re a very stingy dotcom. We stinge on everything we can except for one thing: People. I’ve learned in the past that good people are hard to find and when you pay peanuts you get monkeys. So when we employed our first two programmers just last week, we weren’t afraid to assure them that should the company do well in future, they will be handsomely rewarded. But we do stinge on everything else. For example, we didn’t buy our computers. 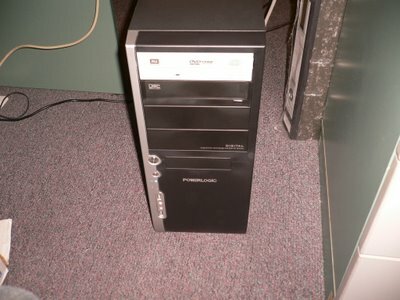 We bought the parts and assembled them ourselves (though we actually did this not only for the cost-saving benefit but also because we needed to customize each PC we had since they each had different purposes which was exactly what Google did for their first computers). 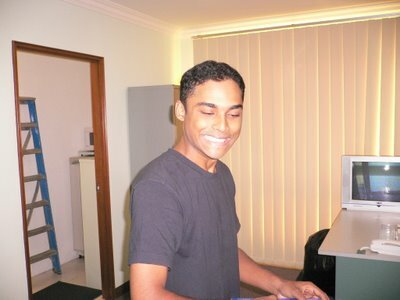 Zacky is an outstanding computer engineering student that won scholarships after scholarships during his academic life. He is technically the 3rd of our 3 first employees but then again… I don’t know if we can count him in as an employee because we don’t pay him. Zacky was an old school friend of mine that I happened to meet up with weeks ago (he also happened to be using Tuitionhamster.com in the past to find students without knowing that it was my little toy project). When Zacky met up with me and heard our business idea, he desperately wanted to be a part of it in spite of me repeatedly telling him that we can’t afford to pay him because a lot of our money was already going to go to the 2 programmers we just hired. But it didn’t matter to him. Zacky told me that all he wanted was to be a part of it and learn all he could. Ming and I admired his drive, so we took him on with the promise that if we grew in future and he was still with us, we would give him a full-time job after he finished his final year at university in 2007. I brought Zacky up because he had an essential part in assembling our computers. 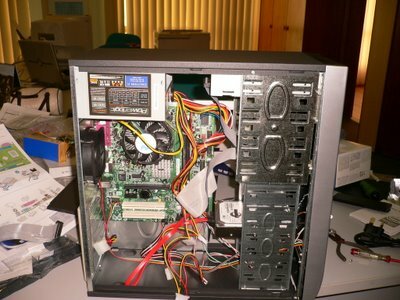 Being an Economics student, I had no idea how to assemble a computer of my own but I knew I had to learn if I was going to be in the business and if I believed that this was only the first of the thousand computers I will be assembling in my lifetime. Zacky was the teacher and I was the student. 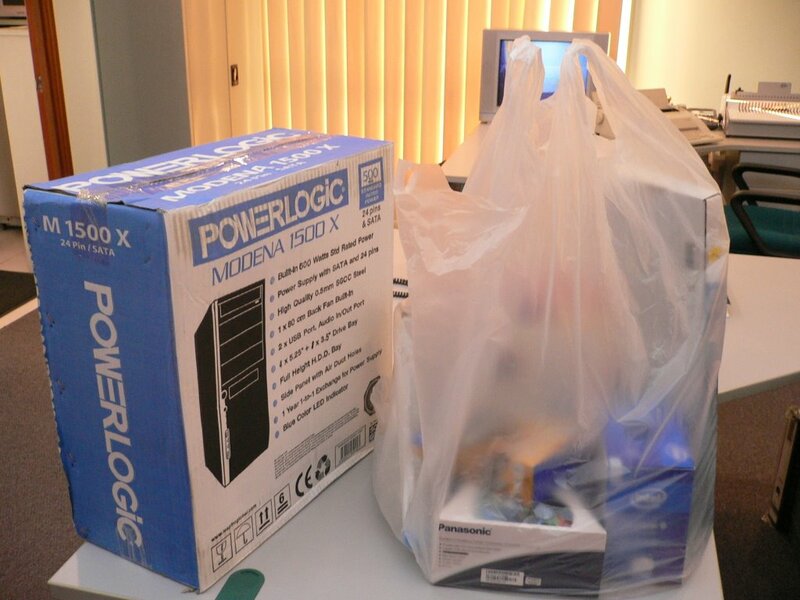 We started with all the parts that we bought from PC Depot in Penang. 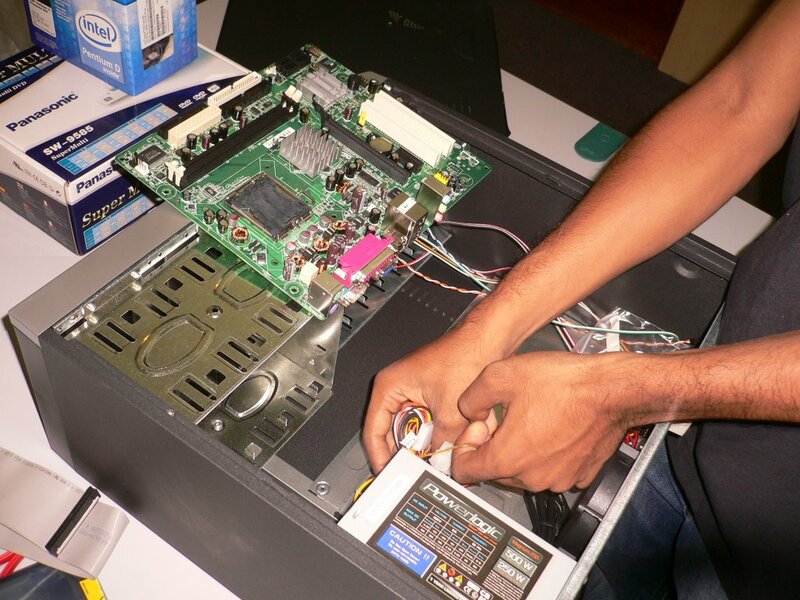 We sourced the entire island and we found that the cheapest computer parts are sold at PC Depot and the best part of it is that you don’t even have to haggle. Its fixed price is already the cheapest you will ever find. 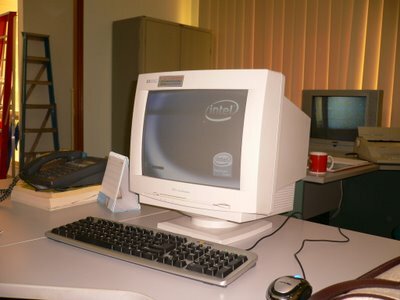 So first came the parts of our office’s very first computer. Then came the fun of putting everything together. If you’re wondering why the monitor is white when the PC casing is black, the truth is we didn’t buy the monitor. 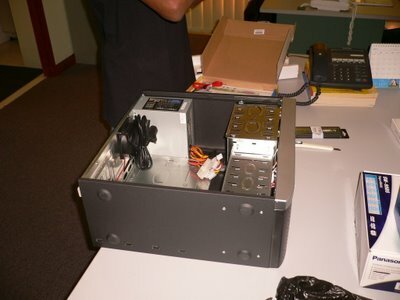 We salvaged it from some old office equipment we found in our office building. Of course, there are some things that can’t be saved on like original software ie Microsoft Windows which costed us a bomb. Believe it or not, for now we can’t even afford to have Microsoft Office installed in all our computers since that costs over RM500 each (Pirated software is OUT OF THE QUESTION for companies)!!! We are so poor… we are so poor….